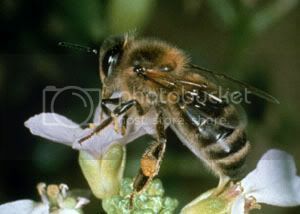 Lots of people do mistake honeybees for wasps. To me they are unmistakeably different, but if you aren't used to seeing them then I suppose it is easy to do. The main difference is the colour of their legs. Wasps have yellow legs and bees have black legs. I think the body shape is slightly different as well. Yes, but be careful with wasps as they are much more aggressive than bees. 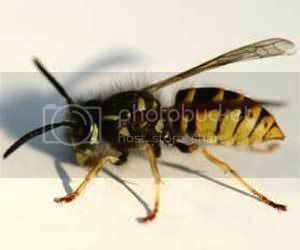 I don't get a bad reaction with wasp stings but they are much more painful. that is a fascinating site, thanks Tiger. We had the bigest bee I have ever seen trapped in our greenhouse about 2 monthes ago, I'm sure it was a Queen and we made certain that she got out safely. Next time I see one of those I'm going to try and photo it for this survey they are doing. thats a great tip, I never realised that either, thanks Tiger. Thats a fabulous site just had a look with my son, I'm always fascinated by the big queen bumblebees, we had a real whopper in the back garden the other day and I came in to tell everyone come and see, but she'd gone. We do get quite a lot of bees and I've realised now from the list on the website it's probably due to the lavender and honeysuckle. Sadly though my neighbour tells me that the honey bees around us are most likely from the Church Priory a little across the way and that they are all diseased. Last edited by tiger; 18th June 2007 at 08:37. If you live in London or Essex you can take part in a Big Bumblebee Hunt with events and a survey in July and August.